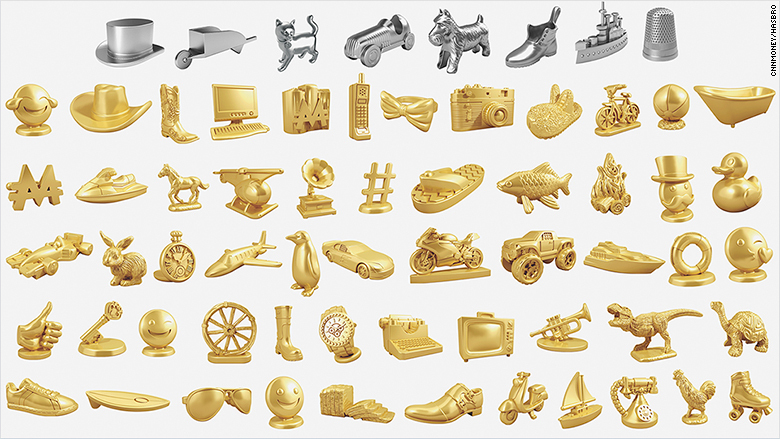 Monopoly maker Hasbro asked the internet to pick new board game tokens. This classic figurine just got kicked out - maybe forever. Monopoly fans cast four million votes last month to decide which of the board game's classic eight tokens should stay around -- and which gets the ax. The results are in: Say goodbye to the thimble. This means that the thimble token -- which has been around since 1935 -- won't be included in the next version of the classic Monopoly board game slated to hit stores this fall. The thimble's fate is the result of an online vote Monopoly parent Hasbro (HAS) held last month at VoteMonopoly.com, marking the first time in Monopoly's 82-year history that Hasbro crowdsourced the future of the game. Monopoly's 82-year-old thimble token got kicked out of the game by fans. Voters were faced with a choice: Should Hasbro replace some -- or all -- of the traditional game pieces like the top hat and shoe with more culturally relevant items like a hashtag, emoji or computer? Monopoly fans voted on the 8 tokens (gold are the new ones; classic tokens are in silver) they want to see in the next generation of the classic boardgame. The contest kicked off on January 10 and ended January 31, with voters selecting their favorite eight tokens from 64 possible options. A total of 56 options were entirely new, while the other eight were the classic pieces ... including the doomed thimble. 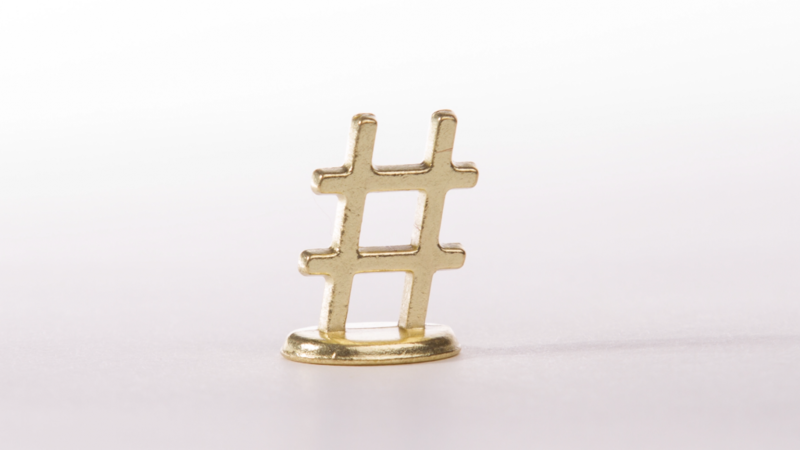 "We were a little bit surprised that the thimble got among the lowest votes because it's been in the game for so long," said Jonathan Berkowitz, senior vice president of marketing for Hasbro Gaming. And it may not be the only piece retired. Hasbro won't reveal the final results of the vote until March 19, and Berkowitz said "there is a possibility other classic pieces were also voted out." 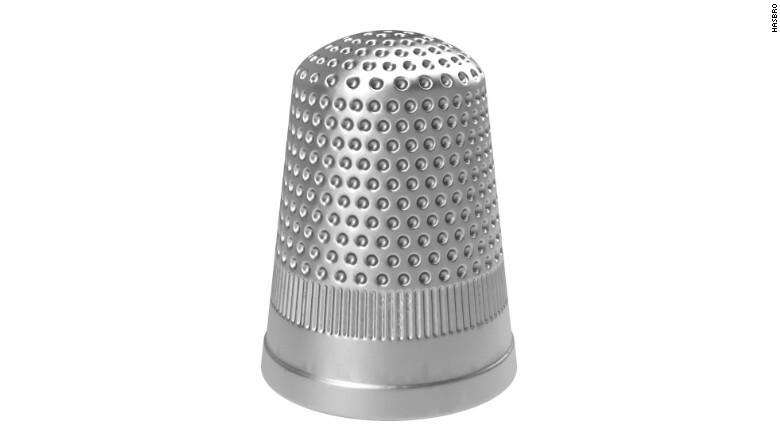 Is the thimble gone forever, though? Maybe not. "We never say absolutely forever," Berkowitz said. 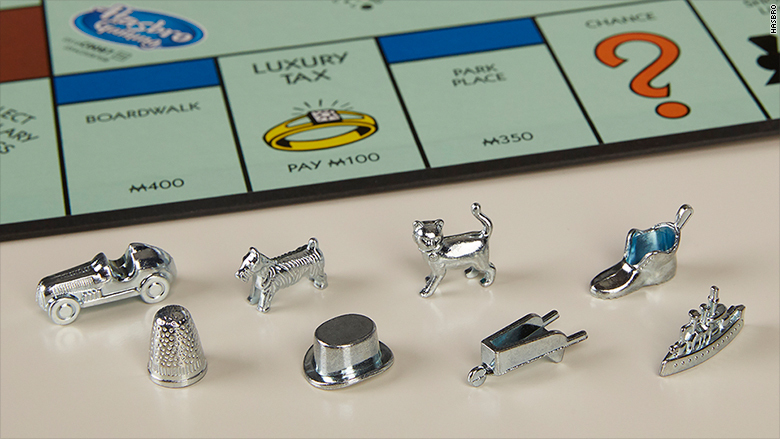 Although crowdsourcing input is unique for the brand, Hasbro has launched 300 different versions of Monopoly to date. Most recently, Hasbro released a cashless version of the game, Monopoly Ultimate Banking, which used bank cards and an electronic banking unit instead of paper bills. "We're always listening to our fan base," said Berkowitz. "They're very engaged with the brand, especially on Facebook (FB). We want them to continue to weigh in with ideas."